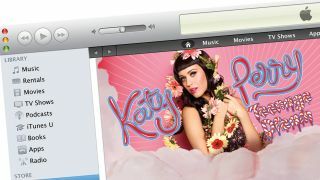 iTunes redesign set to bolster search and sharing? Apple is looking to overhaul iTunes and bring it up to date for the company's iCloud service. Changes that are said to be happening include some much-improved search and sharing capabilities and better integration of the iCloud. This is all according to Bloomberg, which said that the mooted redesign would help users seamlessly access their music, videos and downloaded apps over different Apple gadgets – something that will be welcomed by many who find it frustrating that Apple still makes it hard to have multiple devices working off of one iTunes account. Apple iTunes has been up and running since 2003 and since then the amount of media filtering through the service has changed immeasurably. Alongside the 28-odd million songs available, there are also 650,000 applications on board the service and 45,000 movies available. Not to mention the differing devices now tethering to the service – iPod, iPad, iPhone and Mac… it's all a far cry from the humble iPod and some music. The new changes should mean that Apple can compete with Spotify when it comes to social sharing and it will simplify the organisation needed to handle all that media and the variety of Apple devices in the home. Unfortunately, there doesn't seem to be a release date for the new-look iTunes – but it would make sense for Apple to launch it alongside the iPhone 5 later in the year.